Antoine Griezmann was Atletico Madrid's hero with two goals on his 300th LaLiga appearance as they snatched a dramatic 3-2 win at Real Valladolid. Nikola Kalinic's second goal in Spain's top flight – courtesy of a wonderful Griezmann pass – was followed by his strike partner's 124th – the points appearing safe when he converted from the penalty spot on the stroke of half-time. But Atletico's defensive solidity uncharacteristically failed and Saul Niguez's own goal after Fernando Calero's header meant it was all square in the 63rd minute. It was left to Griezmann to punish a scuffed Oscar Plano clearance 10 minutes from time and move Diego Simeone's side level on points with Barcelona at the summit. Valladolid started in impressive fashion, taking the game to Atletico and starving their creative players of space. But Griezmann found a pocket in which to operate in the 26th minute and Kalinic was on hand to stroke home his team-mates' sumptuous throughball. Plano and Enes Unal passed up clear chances for the hosts as Atleti showed unusual vulnerability down their right flank and Valladolid were made to pay with the final action of the half. Jordi Masip saved brilliantly from Griezmann's deflected shot before a VAR review showed the deviation came courtesy of Kiko Olivas' handball, and the France star clinically dispatched the penalty. As in the opening period, Valladolid resumed on the front foot and their pressure told in the 57th minute. Calero rose highest to power captain Michel's corner past the efforts of Jan Oblak and Santiago Arias on the line. Sergio Gonzalez's men were ruthless in seizing upon an unusually vulnerable Atletico and they were level when Saul diverted Unal's header from a right-wing corner into the net. But having caused Atleti repeated problems from set-pieces, Valladolid faltered in deflecting one and Griezmann needed no second invitation to thump into the bottom corner. Atletico might not have convinced entirely here but Barcelona must beat Levante on Sunday to re-establish their lead outright. Third-placed Sevilla will go level on points with Los Rojiblancos if they manage to beat Girona. Valladolid defensive midfielder Ruben Alcaraz made life difficult for Griezmann early in the contest but his assist for Kalinic was a moment of sublime quality. Following a prolonged VAR delay, he thumped the penalty coolly into the top corner, establishing an advantage he did not deserve to see his usually reliable team-mates surrender. It merely meant he had to take matters into his own hands again. There is still no defence more miserly than Simeone's in LaLiga but his back four were collectively poor here. Simeone's relatively low-percentage approach means he simply cannot afford such lapses. A succession of injuries have played a part but, as the defeats to Celta Vigo and Borussia Dortmund have already shown this season, the unit marshalled by Diego Godin is not as impeccable as it once was. - Atletico have won the last two games in which they conceded multiple goals after being winless in their previous five (D1 L4). - Griezmann has scored the last six penalties he has taken after missing his previous four in a row in all competitions. 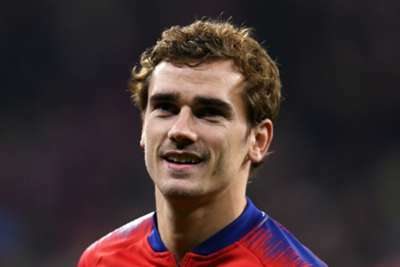 - Griezmann has scored eight goals in his five LaLiga meetings with Valladolid, an average of 1.6 per game, against no other team does he have a better ratio (with a minimum of two appearances). - Valladolid have lost their last seven LaLiga meetings against Atleti, their worst run against them in the top flight. Atletico learn their fate in the draw for the last 16 of the Champions League on Monday and will face a seeded team having surrendered top place in their group to Dortmund. They are back in action for the final time in 2018 at home to Espanyol next Saturday, when Valladolid travel to Athletic Bilbao.